Styles of RV living range from luxury motorhomes in RV resorts to living off-grid in modest RVs in wilderness areas. Like pioneers in their covered wagons, thousands of RVers head to Quartzsite, Arizona, to spend their winters RVing off-grid. While they may live in more luxury than their predecessors, RVers who stake out a little temporary home in the desert around Quartzsite are still pioneers in their own way. They come to the Arizona desert to set up camp in dispersed camping areas managed by the Bureau of Land Management (BLM), and often live off-grid (known as boondocking) without hookups to utilities, water or sewer for three to six months. A six month permit costs less than a week at a moderate private campground. 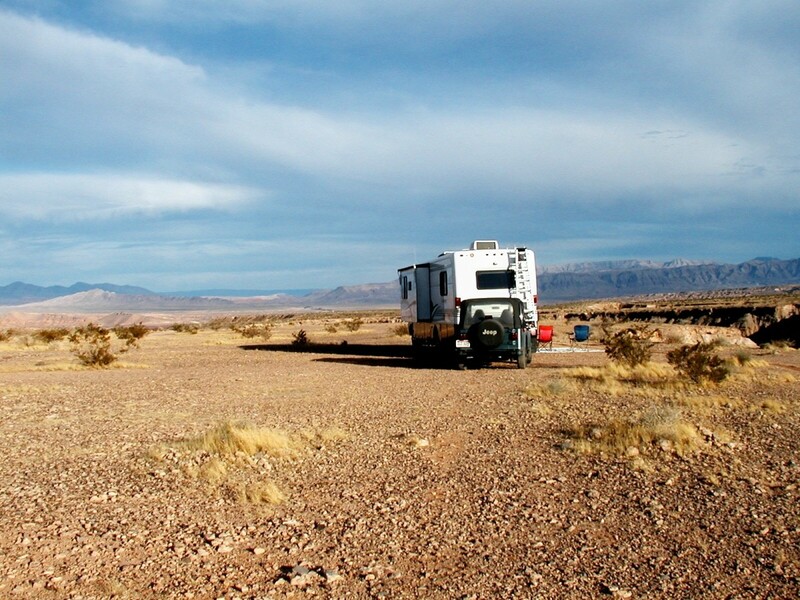 Boondocking on Arizona BLM land is one of the best bargains around. The 14-day areas are free while the long term camping areas offer an unbelievably low seasonal rate of $180 for six months. Compared to camping in one of the many private campgrounds that’s an incredible bargain. 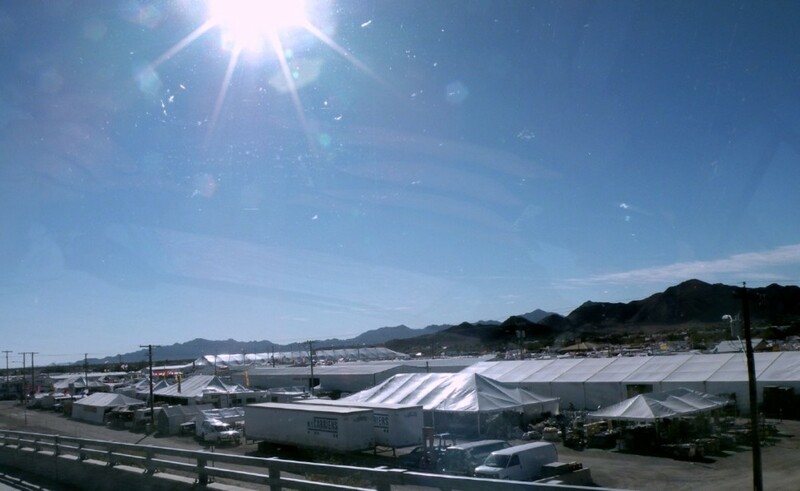 Thousands of RV snowbirds come to Quartzsite prepared to live without water, electric or sewer hookups. 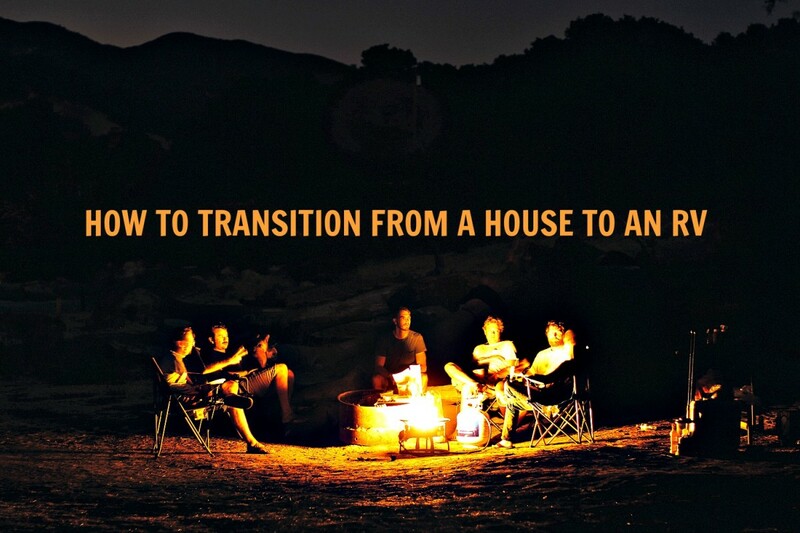 For novice off-grid RVers, this might look like a daunting undertaking. If you are now wondering why the heck anybody would want to do this, then you might also have a lot of questions about how it’s done. It feels good to be self-sufficient! It uses readily available solar and wind power as power sources. It allows campers to camp in more private areas untethered by power cords and cables. Boondocking for three to six months is a very long time to go without electricity or modern conveniences. How do they do it? Well, most RVers have figured out some way to have their cake and eat it too. They come prepared with solar panels, windmills, generators, propane heaters, solar and battery operated electronics. They’ve also learned to conserve energy, using their backup electrical systems only when necessary. The best things in life are free! And free sunshine is plentiful in southern Arizona. 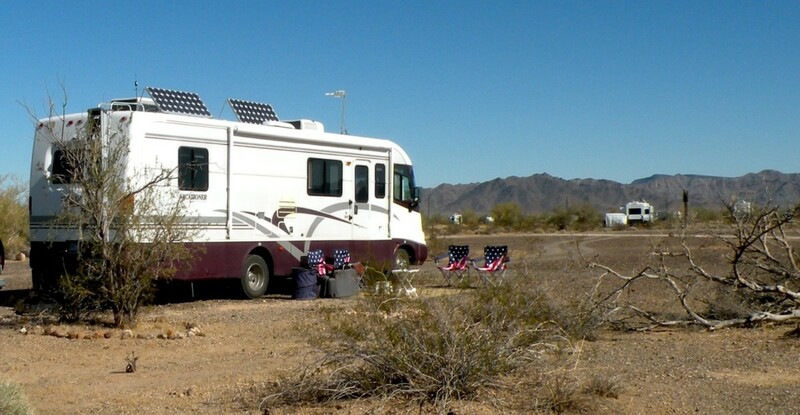 RVers camping in the desert often use solar panels to generate electricity they need for conveniences like lights, TV and powering their battery operated electronics. Recently, more solar powered gadgets are available that just need to be set out in the sun to work for several hours at a time. Solar powered lanterns, weather radios and battery chargers for cell phones and small electronics are well suited to this lifestyle. Diehard boondockers, the RVers who love to camp in the wide open spaces of the desert, seek out public lands where they can live off-grid. They save their money to spend on fascinating pastimes and exciting explorations rather than expensive campgrounds. Some of their solar set-ups are complex and expensive, while others manage with a simple configuration and one or two solar panels. The answer to this is complicated because needs and expectations are different for different people. 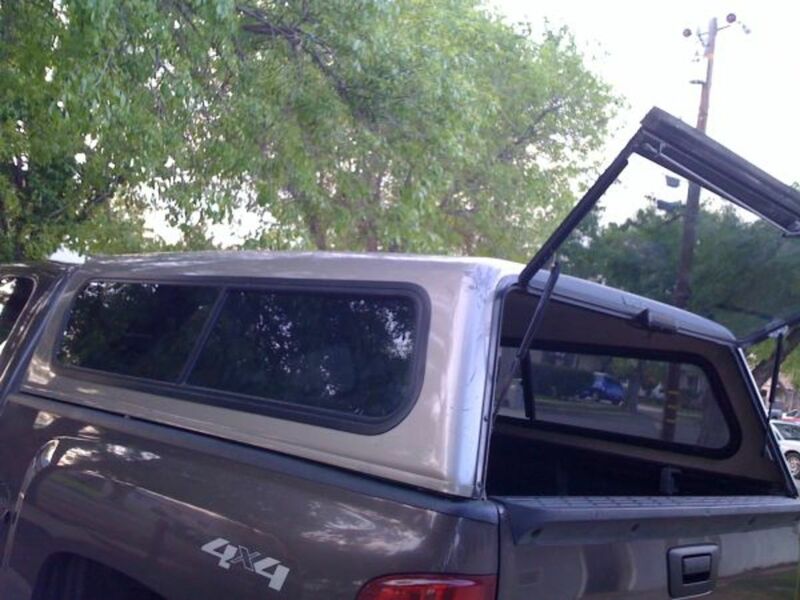 Someone in a forty-foot motor home will need/want more panels than the couple in a twenty-five-foot rig. Those who want to run their microwave and TV will require much more power than people who just want lights at night. The good thing is that you can start with one or two panels and add more later as you determine your needs. We purchased two used 80-watt solar panels two years ago along with an inverter and a controller/booster. We use four 6-volt golf cart batteries to store the electricity. By pacing our usage, this set-up will run the lights in the motor home all evening, charge up one of our computers and usually run our TV for a couple of hours. After some trial and error, we learned how to use our stored power to best advantage. Solar panels, like other technology, is becoming more affordable all the time. Now, four years after purchasing our first used solar panels, we can purchase a new one from Amazon for about half the price. If you are thinking of buying solar panels, go to a reputable dealer and get someone who knows what they're talking about to help you figure out what you need and assist with initial setup. Do your research, or talk to some of the old hands who have been camping around Quartzsite for years. Some of these guys know more than the “experts” who sell the stuff! Like the sunshine, wind is free. Although not as popular as solar panels, portable windmills are also a common sight on the BLM campgrounds around the desert. Some people hedge their bets with both solar and wind power. If the sun doesn’t shine, it’s likely that the wind will blow anyway! Again, it’s a good idea to have someone experienced help you get started if you’re considering a wind mill for generating electricity. Energy needs to be used carefully or batteries will drain at night. Too little wind and the windmill won't turn. Too much and you have to shut it down to prevent damage. Newer on-board generators are quiet, but older ones are noisy inside and out. May be a nuisance to neighbors. Some areas limit use of generators to certain hours. There are pros and cons to each type of energy production. Many rigs use more than one, i.e. solar or wind and a back-up generator. Choose what's right for you. RVers often choose solar power over wind power for these reasons: a) Solar panels will generate power in minimal sunlight while windmills need a certain amount of wind, not too weak and not too strong, in order to work properly, and b) Solar panels are easier to put up and down and often they will store right on the roof. Windmills, especially the larger ones, need a good anchor and guide wires to keep them stable. With a bit of research, you can find many useful solar powered gadgets and appliances that will help you in your efforts to unplug from the grid. In the sunny southwestern states, campers cook with solar ovens, light their nights with solar lanterns, and even charge their electronics with solar powered chargers. Be creative and investigate these options. Only heat water when you need it. If you need a small amount for doing dishes, heat a little on your stove rather than turning on the hot water heater. Wear clothes several times before laundering. Hang towels to dry after use, and use more than once. Hand wash smaller items like socks and underwear and hang to dry outdoors. Desert air will dry them in a jiffy. Charge computers and electronics during mid-day if using solar power so that you aren't depleting your storage batteries. Switch out incandescent bulbs for LED bulbs in your RV. Turn off extra lights and outdoor lights when not needed. Use a thermos to keep coffee or tea hot rather than re-heating it through the day. There are many who live off-grid without either solar or wind power. They usually bring generators to power their microwaves and lights, and sometimes TVs and other appliances. The drawback to generators is that they are noisy, they depend on fossil fuels, and they cost money to operate. The high price of gas is making people think twice about using their generators more than very short periods of time. Purists might tell you that you don’t need any of that stuff. You can see by the light of the lantern, you can sit around the campfire at night rather than watch TV. Get an extra blanket or sleeping bag for warmth! You don’t need any of those fancy electronics when you have the sun in the morning and the moon at night! Would you live in an RV in the desert without electricity for 3 to 6 months? Sure - I could do it! Maybe if I had a generator and/or solar powers to give me lights. Maybe, but I can't live without my computer, internet, and my electric coffee pot! No way - give me full hookups! You have to be kidding! Where's the motel? Comments? What Do You Think About Living Off-Grid in an RV? Mr-B - If we buy a permit for the long term visitor area, we can dump and also fill our water tanks with potable water. There are also a couple of places around town where you can fill your water tanks (for a price). Our RV fresh water tank holds 70 gallons. If we are careful with it, we can last about 10 days. If you take showers often in your RV, you'll need to fill up more often and you'll need to dump more often. Smaller RVs usually have smaller storage tanks, so you may need to dump and fill up more often. We don't drink water from our tanks, though, just use it for washing and flushing. We buy separate drinking water in bulk for 5 gal./$1 at water stations in town and store in our separate water storage containers. We use about 1-2 gallons a day for drinking and making coffee. Just a note that some people do drink the water from their fresh water tanks, we just don't like it. If you do that, you'll need to be sure that your tanks are sanitized occasionally. Great article! Thank you for sharing! Are you able to fill your water tanks with potable water when and where you dump? Also, how much water do you need/use on weekly basis, and is there enough storage built in to the rv to accommodate your needs, or do you have extra water storage of some kind? Thank you! I'm glad to see another Salvation Mountain fan. Isn't it such a unique place. Sadly, it may not be around for the next few decades. Leonard is in a nursing home and there is no one to keep the place up. I've heard rumors of weeds popping up. I was given a personal tour by Leonard and found him to be a truly amazing and gifted man. I have written articles on the fate of Salvation Mountain, as well as the plight of the Salton Sea. Availiasvision - We do love camping off the grid, and there are many places to do that in Arizona,California and other Western states. Yes, we have visited Slab City, and in fact, I wrote an article about it and about Leonard Knight's Salvation Mountain. When we plan to boondock, we always check ahead of time on the availability of disposal stations. 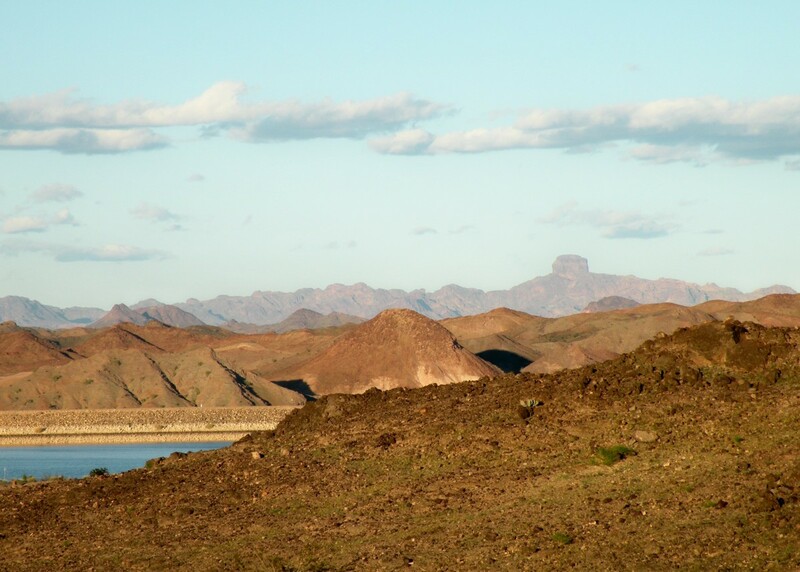 While camping in Quartzsite or Imperial Dam Recreation Area, we use the central dump stations where we can either drive our RV or take our portable tanks to dump. With careful planning, we only need to dump every week to 10 days. Some popular BLM areas also have mobile services that will come to your campsite and pump your tanks or bring you water. There are also dump stations at some gas stations and truck stops and some towns have a place where you can dump for a fee. I'm glad to see that some are taking advantage of the freedom to live off grid in the West. Have you been to Slab City in California? It's a free snowbird city on the Salton Sea. How do you dispose of waste? Brett.Tesol - Like many people, we started RVing after retirement and enjoy spending time off the grid in places like Quartzsite. 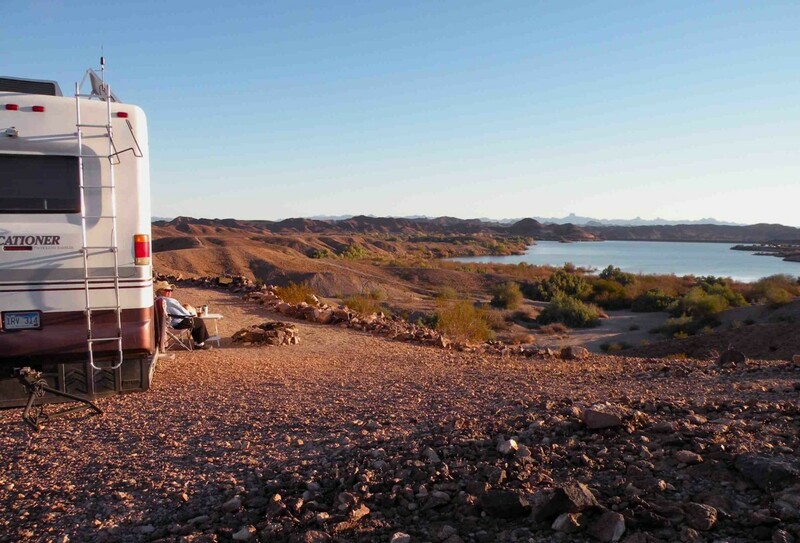 Once you're set up for it, RVing off the grid is a cheap, fun way to spend the winter in a warmer climate. Thanks for stopping in to comment and thanks for the share! Nice! I so love Arizona and camping sounds fine. I love the idea of doing this in the future, when I'm no longer in the 9-5 routine of things. Your tips are good for anyone considering this! Hi Will - Don't you love it! We've only been using solar panels since last year, but I love getting our power from the sun and not having to run the generator. It still feels like magic when we're boondocking! It's nice to see you here - thanks so much for stopping in! I have friends who boondocked in Quartzsite for several years. They now live in Idaho, and I just spoke to them yesterday. I've installed solar panels, a charger, and six volt batteries. I can run TV, satellite, and lights every day, if I don't overdo it. 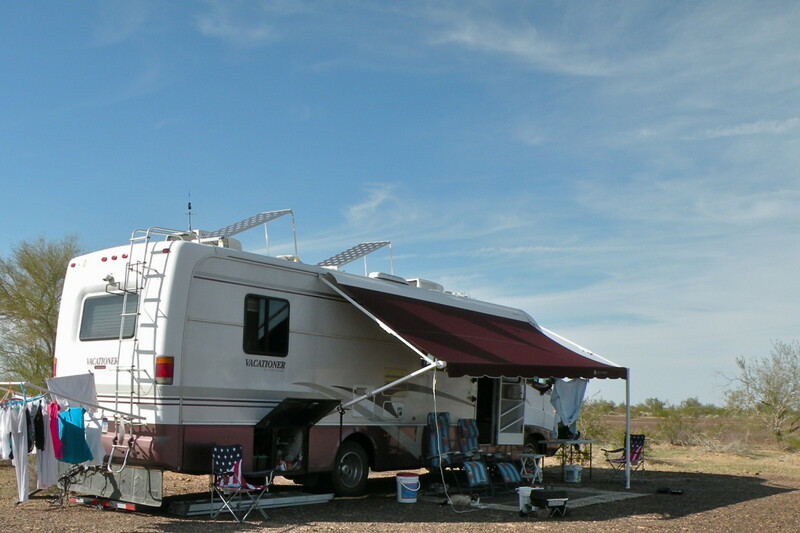 Eiddwen - Thanks for stopping by to read about Quartzsite and RVing off the grid. It's definitely a culture all its own, and anyone who RVs should see it at least once, whether or not they camp there. Glad you enjoyed the read. Thanks for your comments and votes. festersporling - Camping off the grid is not everyone's cup of tea, but I'm glad you enjoyed reading about it! Thanks for stopping by! Femmeflashpoint - The first time we went to Quartzsie, I was amazed at the number of RVs there who were boondocking in the desert. Amazingly, there are as many high priced motor homes camping off the grid as there are very modest RVs. It is a place where you could find a quiet spot to enjoy nature and write if you wanted to. Thanks for stopping in to read my hub! I really enjoyed this one Stephanie and your obvious hard work did really pay off. I have to vote up and look forward to reading many more by you. That sounds awesome. I am more of a hotel guy, but that sounds great. 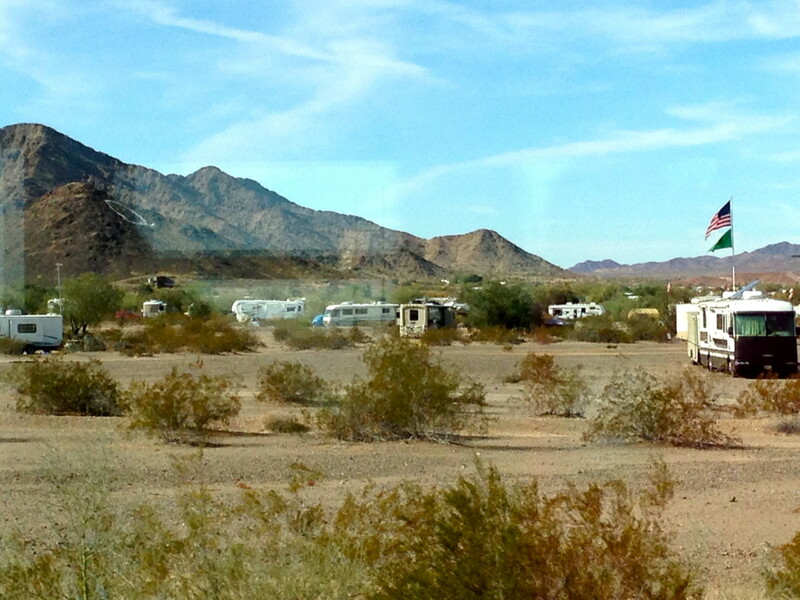 I'd never heard of Quartzsite, nor did I realize people did much camping off the grid in RVs. This was wonderfully informative article, and never know, I might even like it if I tried it. Sounds like a little work, but it'd be a great way to get some work done in some beautiful surroundings! Diogenes - We are lucky that there are still many wide open spaces in the west and southwest where we can go to camp very cheaply. It's not possible to camp this cheaply in the east where there is no BLM land, though the National Forest campgrounds are also reasonable. JS Matthews - Although some solar panels are permanently installed on RV roofs, other people carry them in their compartments and just set them up on the ground in the sun. 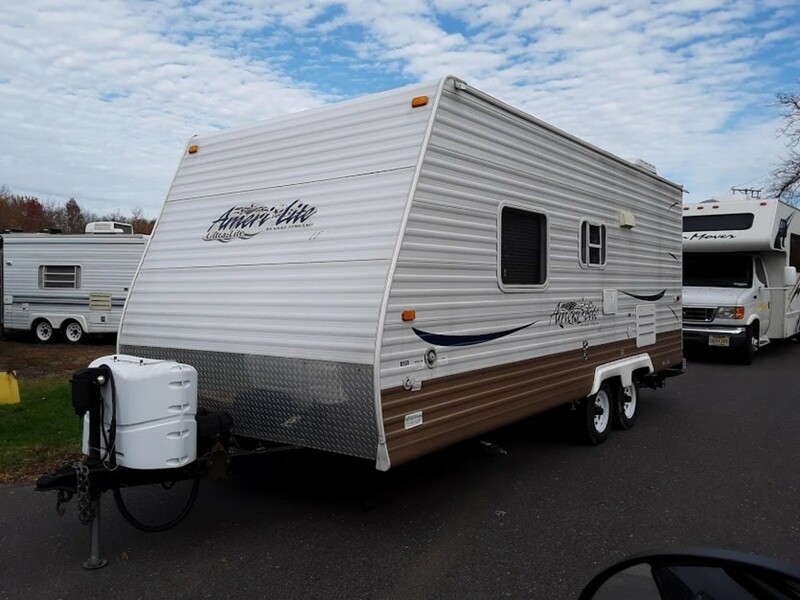 They're pretty lightweight and portable, and using them this way makes it easy to keep them if you should trade in your RV. If you want to "go green" before you're ready to trade up, you might want to look into doing something like this that's less permanent. Glad you enjoyed the article! Happy trails! This is an awesome article! I have a small camper and wanted to convert it to "Green" but it is a 1973 and I don't think it is worth it. Someday I will get a nice big RV with solar and wind energy and head West! Very well done. Great Photos! This should be a Hub of the Day!